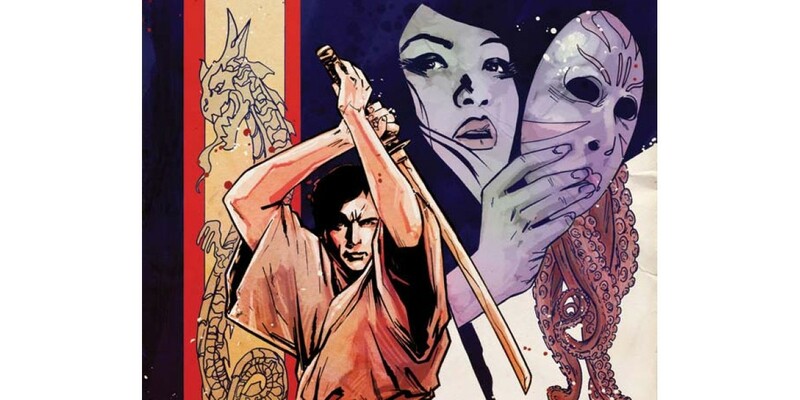 The FIVE GHOSTS team returns to Image Comics for another arc, following the unmissable September release of the first trade paperback collecting the original FIVE GHOSTS five-issue miniseries. The fan-revered debut by burgeoning creators Frank J. Barbiere and Chris Mooneyham has readers primed for even more eye-popping adventure as the book is made into an ongoing series, starting in October. FIVE GHOSTS: THE HAUNTING OF FABIAN GRAY follows the story of infamous treasure hunter Fabian Gray, who, after being bewitched by the mysterious power of "The Dreamstone," must battle the unwieldy power of five archetypal ghosts that both possess and guide him. Lost in forgotten cities, Fabian faces enemy shadows in a mesmerizing series riddled with literary allusions. "Both Chris and I, as well as the whole Five Ghosts team, were amazed by the fantastic reception to our first few issues.” said writer Barbiere, who hopes to excavate more of the world of FIVE GHOSTS as the series continues, “We certainly have a lot of stories to tell in this universe and are very excited to have the opportunity to tell them in an ongoing series." The sixth issue of the self-declared "literary pulp adventure" series will borrow the talents of guest artist Garry Brown (The Massive, Mass Effect) to reveal the next chapter of Fabian's story. Barbiere says, "We're also excited to have our good friend Garry Brown contributing some amazing art to the series for issue six; Garry's a fantastic artist and we think our readers will enjoy his take on the Five Ghosts universe!" FIVE GHOSTS: THE HAUNTING OF FABIAN GRAY #6 will be in stores on October 30, and is currently available for pre-order from the August issue of Previews (Diamond code AUG130582). The first volume of the series, FIVE GHOSTS: THE HAUNTING OF FABIAN GRAY, VOL. 1 TP will be published on September 18 and is available for order (Diamond code JUL130450).